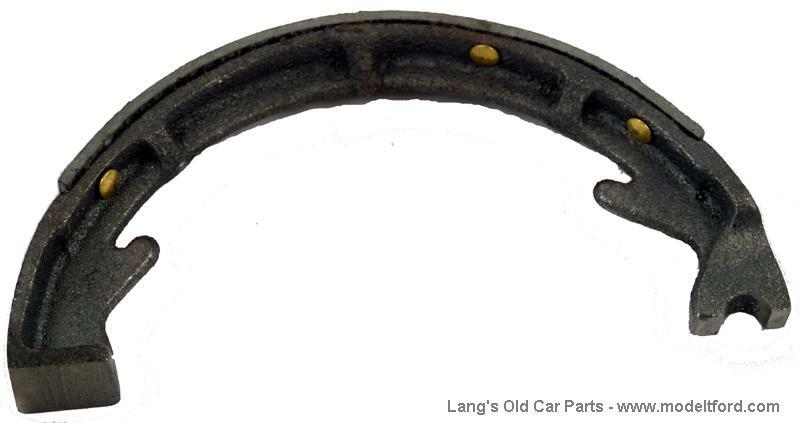 Brake shoes set, cast iron shoes with heavy lining. These are a 2 piece design instead of the original one piece design. 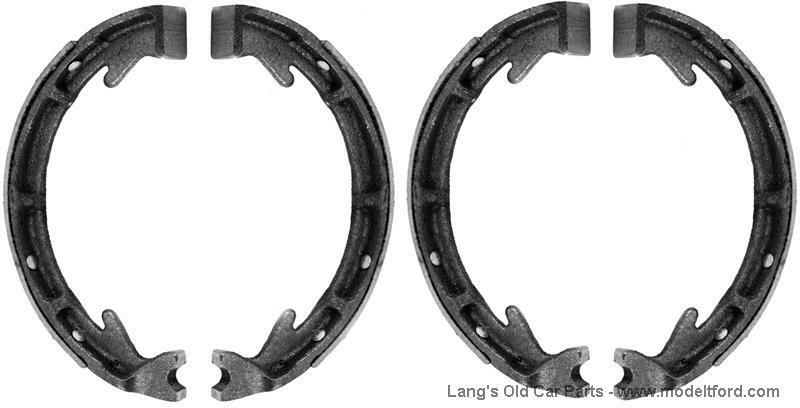 The shoes are split into two pieces by the bottom bolt hole. Lined shoes are an improvement over the bare cast iron shoe originally used. The heavy lining increases your braking power. 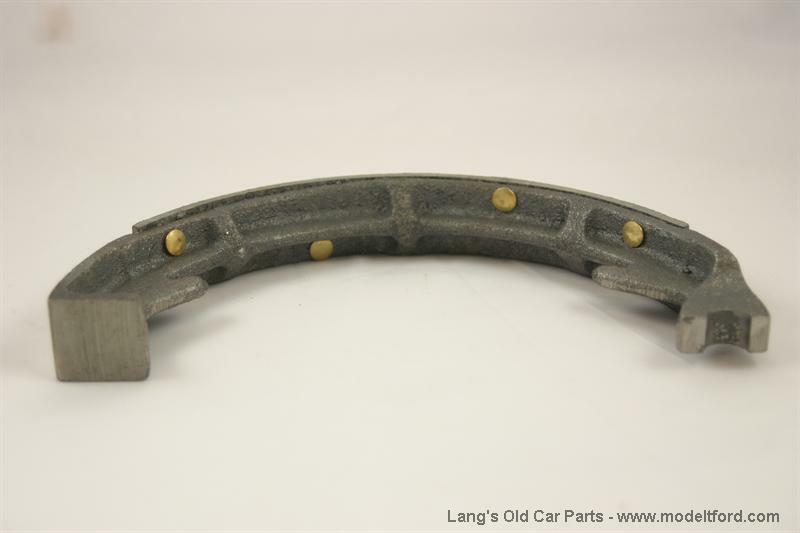 what is the size of these brake shoes? The Ford drum is 8" diameter by 1" wide. 21 out of 28 found this answer useful.